The Huskie Food Pantry was recently awarded $500 from the DeKalb County Community Foundation. These funds were provided from the foundation’s Community Needs Grant. The DeKalb County Community Foundation was created in 1993 out of a desire to give back and love their community. Since then, the foundation has given over $20.3 million in grants to different community foundations within DeKalb County. 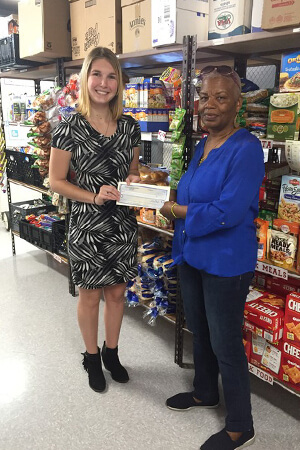 Kylie Moran, the development intern for the Huskie Food Pantry, wrote the grant in hopes of improving the pantry. “I’m ecstatic over receiving these funds,” Moran said. “The Huskie Food Pantry may be small, but every cent of this award will make a big difference.” The pantry plans to use the funds to reorganize and obtain more equipment. They also plan to use some of the funds for advertising to expand their reach in terms of those who know about the pantry. For more information or to get involved with the Huskie Food Pantry, contact them via email at communityservice@niu.edu.